WARNING! To all my vegetarian friends, you’re excused now. So, now that that’s settled, I’m going to share with you a super delicious and super easy recipe I just got from my hairdresser! I love my hairdresser. 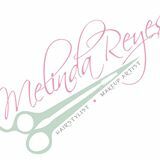 I drive over an hour to go to my hairdresser, Melinda. Those days turn into very long days. 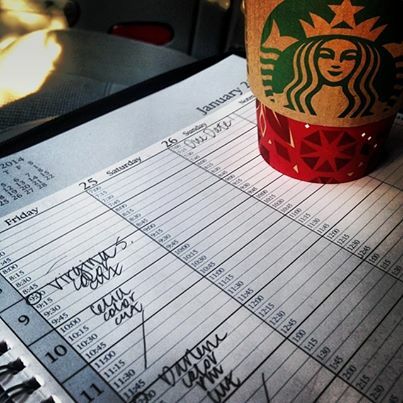 You know the drill, 2 hours of driving, 3 hours of beautification, 4 hours of shopping………….. So, on the days when I go to my hairdresser, Melinda, I like to make something easy for dinner. That’s when my trusty crock pot comes in real handy. I can throw something in the crock pot in the morning before I drive down the hill. Then, when I return, the house is smelling good and dinner has practically made itself. So, it was ironic that on my last visit with Melinda she told me about this great crock pot recipe. How did she know that for me, she and crock pots go hand-in-hand? Well, anyway, it sounded so good and so easy that I had to try it. And guess what, it was good and it was easy. You only need 5 ingredients; a 4 lb. 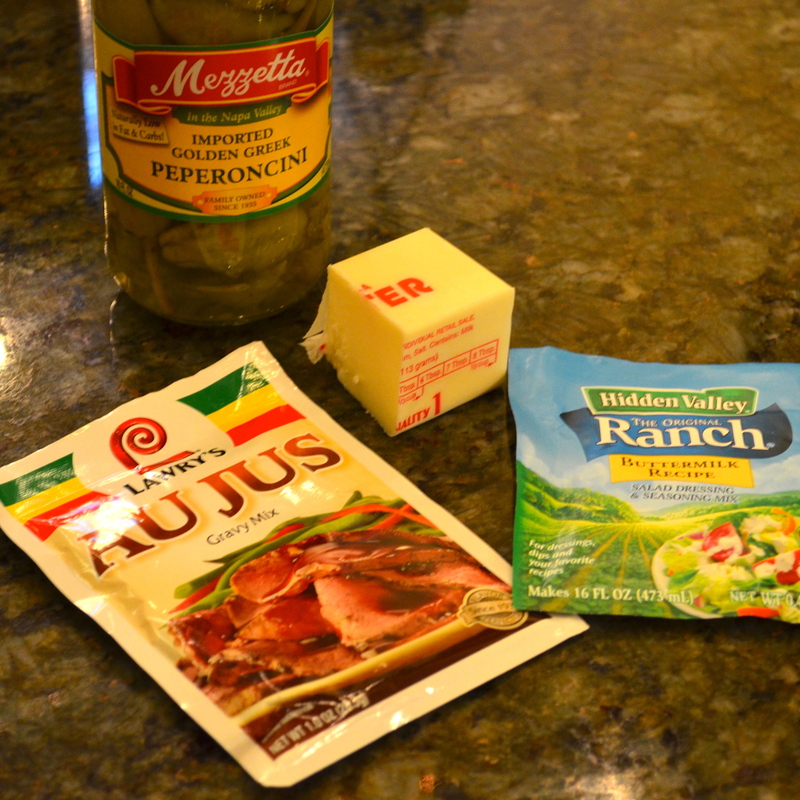 Boneless Chuck Roast, a jar of Peperoncinis, a package of Ranch Dressing, a package of Au Jus and a 1/2 stick of butter. Here’s all you have to do to make it! Buy yourself a 4 pound boneless chuck roast. Cut off the fat and gristle and discard it. Now, sprinkle the meat with coarse ground pepper. 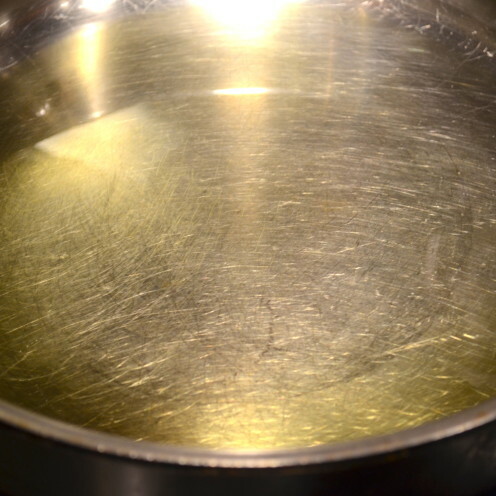 Get out a large frying pan and add a couple tablespoons of olive oil to coat the bottom of the pan. 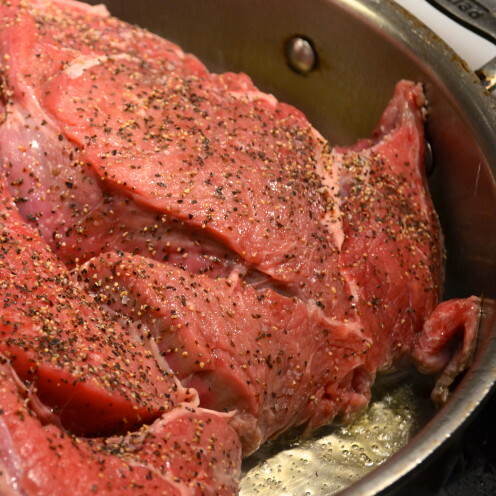 Get the pan sizzling hot, then add the chuck roast to the pan. 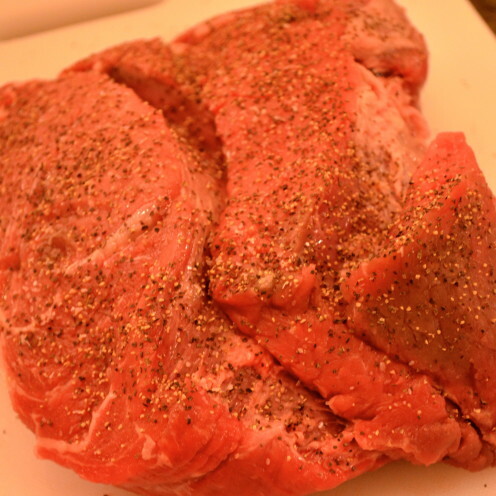 Now, brown the meat on both sides. I always brown my meat before I cook it in a crock pot. This goes a long way in helping to develop flavor. 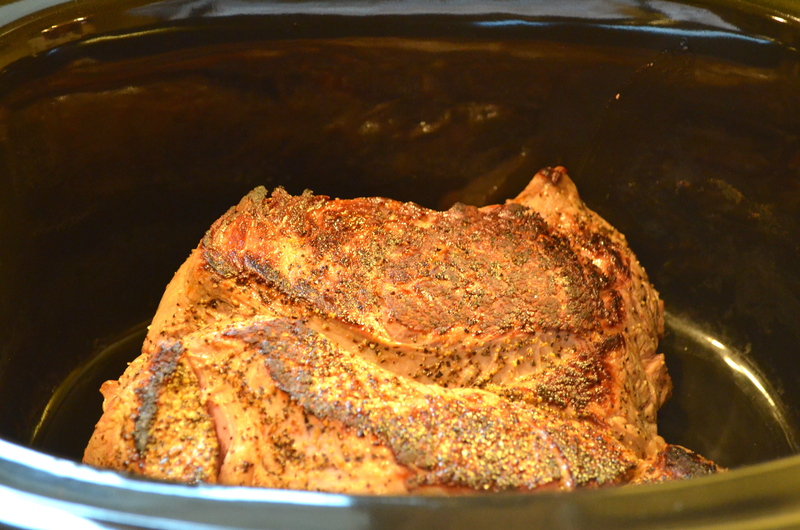 Once your meat is nicely browned, transfer it to a large crock pot. Sprinkle on one package of Ranch Dressing. I used the Hidden Valley Ranch Original Buttermilk brand and I sprinkled it on both the top and bottom of the roast, coating all sides. Next, sprinkle on the contents of 1 package of Au Jus Gravy. I used the Lawry’s brand. 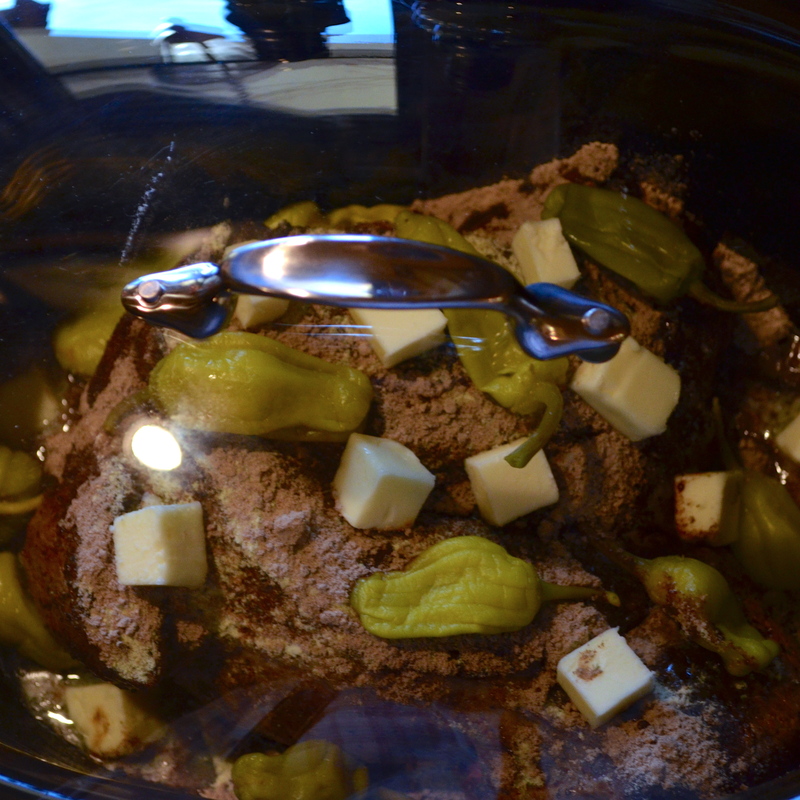 Cut up a half stick of butter into small cubes and place them randomly over the roast. Finally, place 10 peperoncinis (about 1/2 jar) on top and around the sides of the roast. Just add the peppers, not the juice. 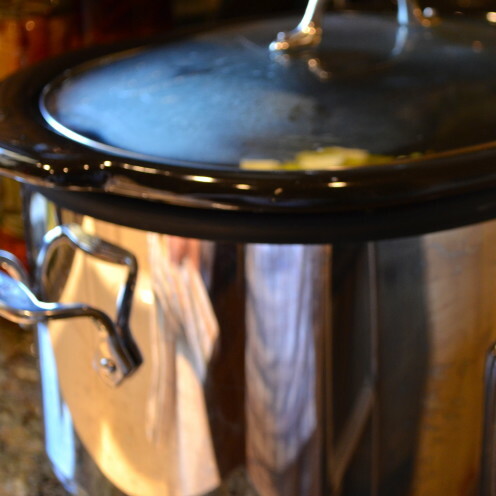 In fact, do not add any other liquids to the crock pot at any time during the cooking process. and set the timer to cook for 8 hours on low. By the way, I’ve got one of those super-duper All-Clad Slow Cookers. My husband gave it to me as a gift. They are expensive and I would not have splurged on one for myself. 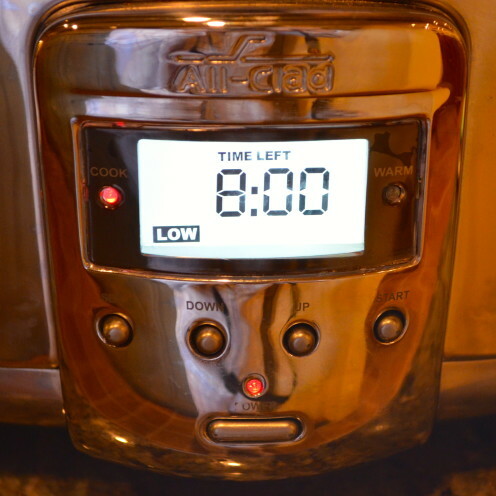 But I’m sure glad my husband splurged because I really like my All-Clad Slow Cooker. It’s really pretty and it cooks low, and slow, and even. I’d recommend that you tell your husband to splurge on one for you too. Tell him you’ll cook him up my recipe for Peperoncini Pot Roast if he does. If he’s anything like my carnivorous husband, he’s gonna love it! Now, it takes 8 hours for your roast to cook, so while it’s doing its thing, somewhere in those 8 hours you are gonna have to make some whipped potatoes. 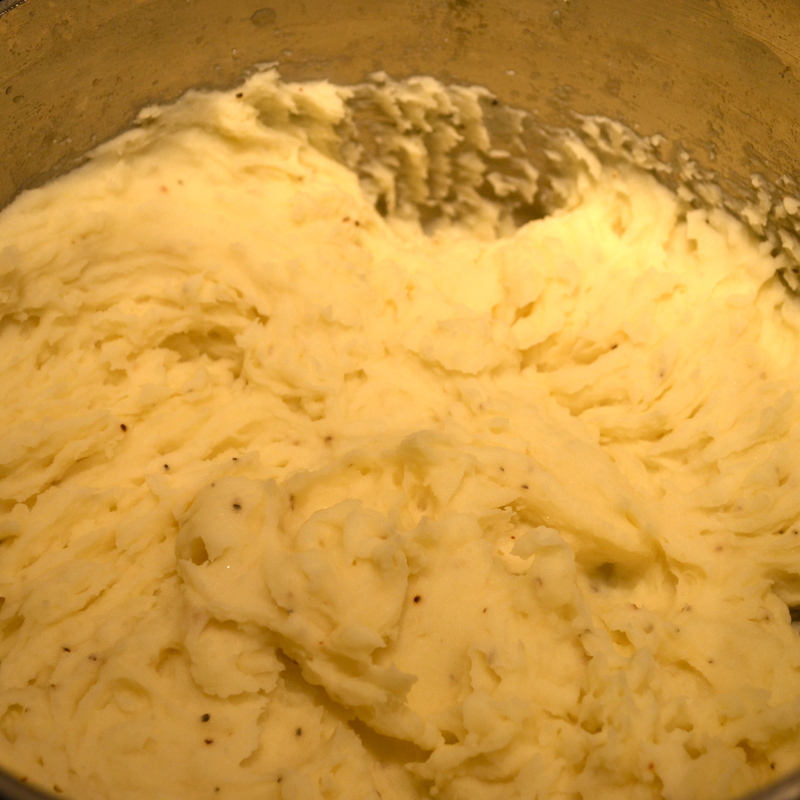 You can follow my recipe for whipped potatoes here. I posted the recipe as part of my Shepherd’s Pie tutorial. 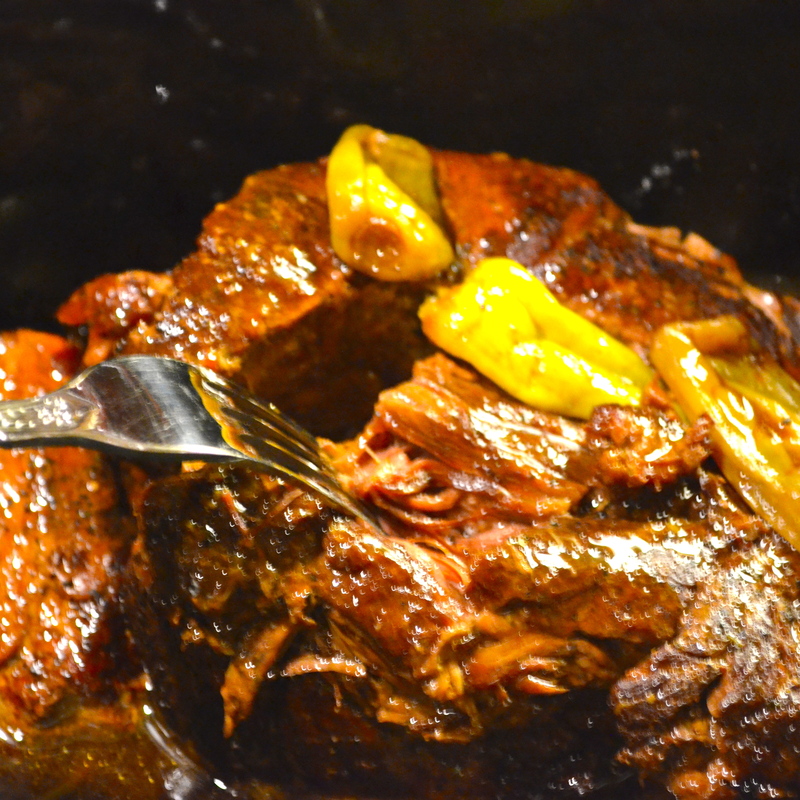 After 8 hours, your pot roast should be tender and nearly falling apart at the touch of a fork. If it’s not, reset your timer and cook it a little longer until it is. Now, serve up a portion of whipped potatoes. I like to serve foods of this type in my large, flat pasta bowls. Place a portion of pot roast on top of the potatoes, then ladle on a generous spoonful of the delicious Au Jus. Top it all off with a peperoncini. Enjoy every last morsel full. Then, pop me a line (in the comment section) and tell me about it, ya hear! 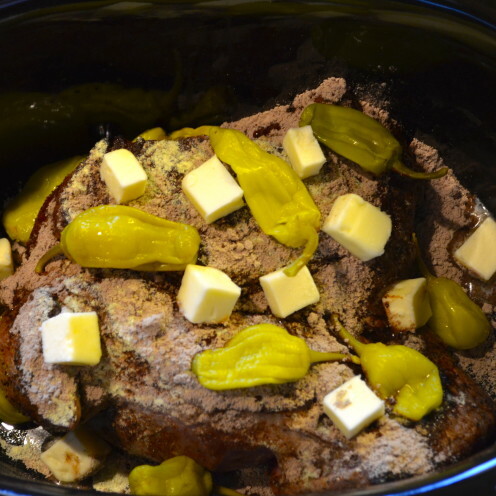 PS – The recipe Melinda gave me was called Mississippi Roast. She got it from Pinterest. 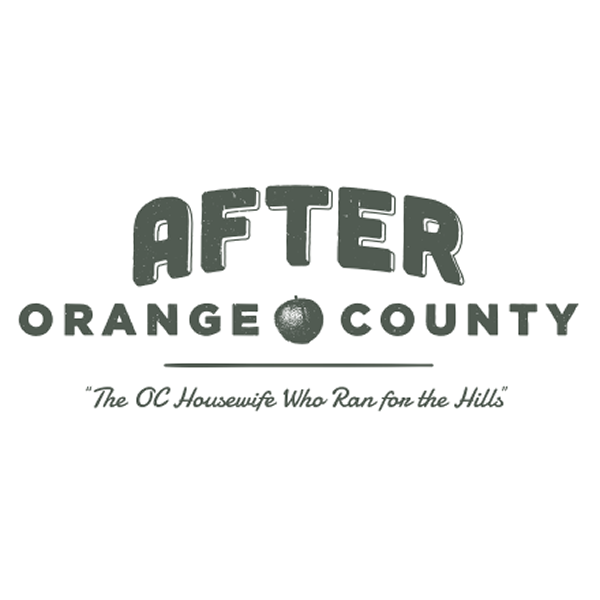 Maybe you’ve seen it floating around cyberspace as well. I can never leave good enough alone, so I made some changes for the better which I think are a big improvement over the Pinterest recipe. 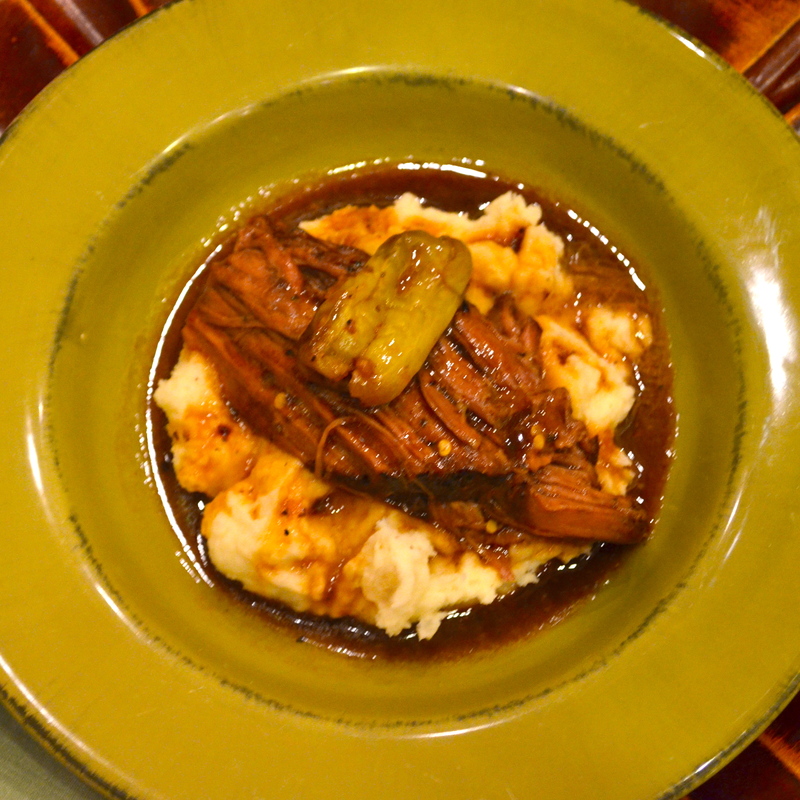 I’m callin’ my new and improved version Peperoncini Pot Roast. It has a nice ring to it, don’t ya think? PSS – The folks at All-Clad, Lawry’s and Hidden Valley Ranch don’t know me. 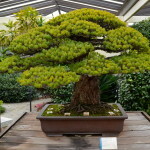 I’m just sharing what I like. The peperoncini in this pot roast give it just the right kick. The melt-in-your-mouth-meat is delicious served over whipped potatoes and smothered in it's own Au Jus. 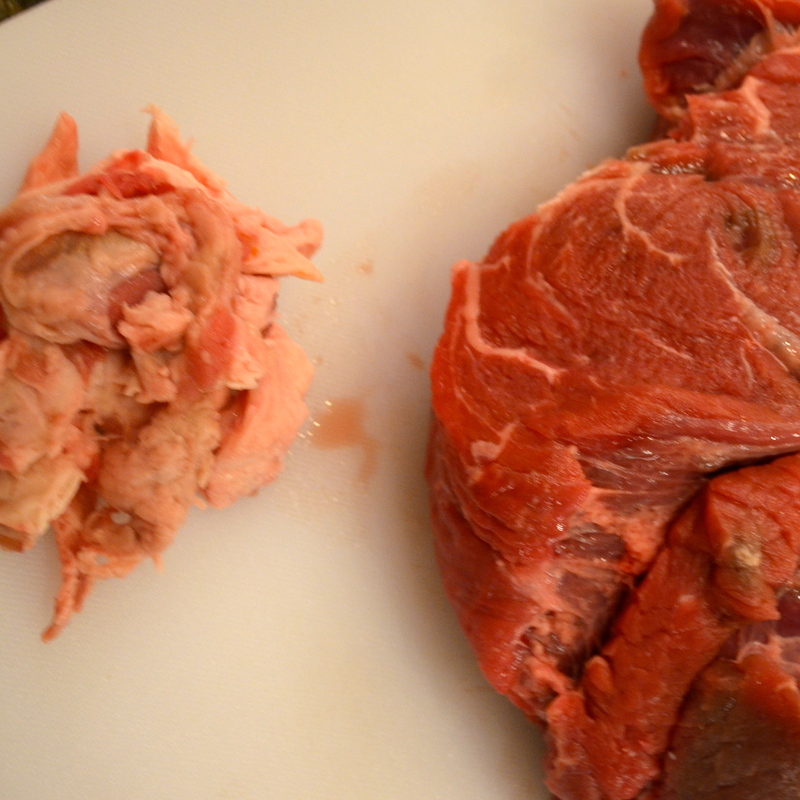 Remove the fat and gristle from the chuck roast. Sprinkle on coarse ground pepper. 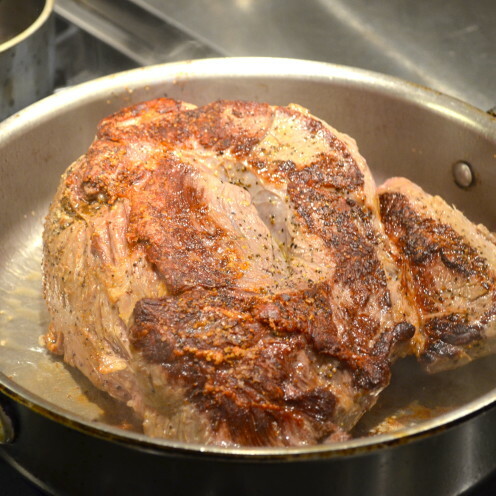 Add the chuck roast to the heated frying pan and brown the meat on both sides. 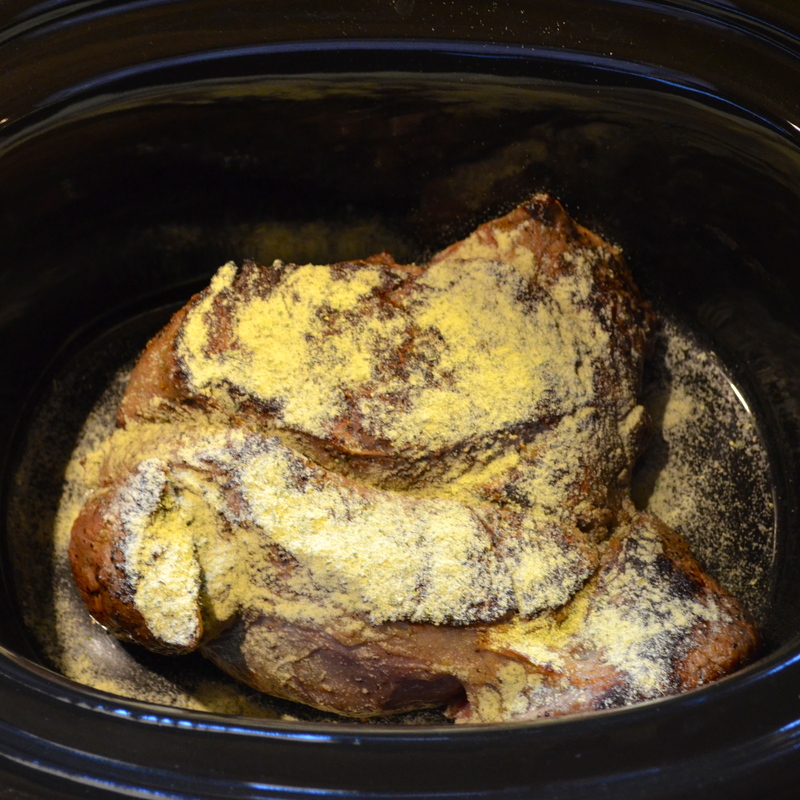 Transfer the meat to a large crock pot. Sprinkle on contents of Ranch Dressing package, coating all sides of the meat. 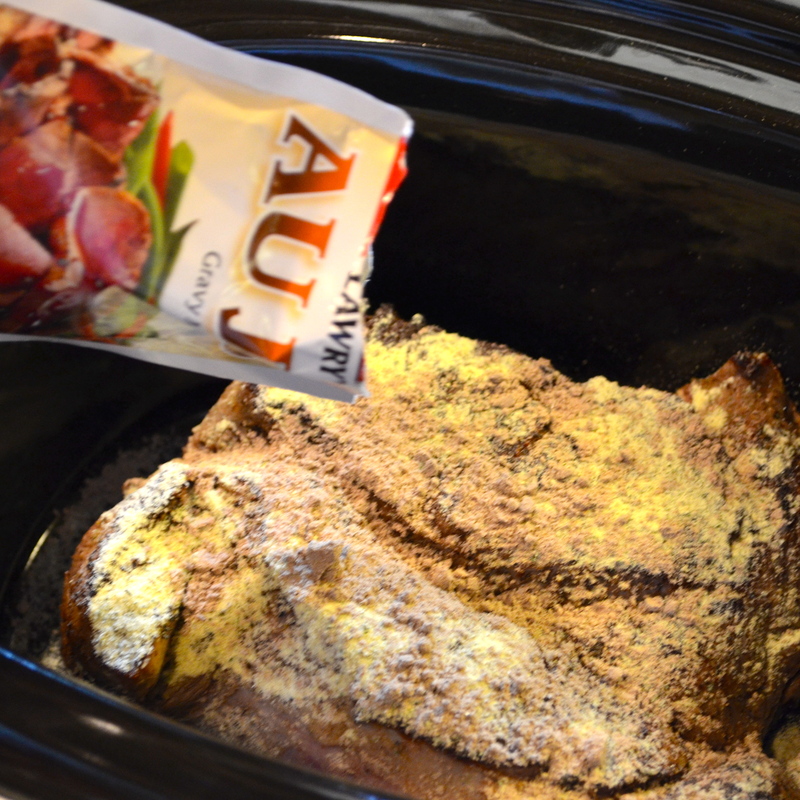 Sprinkle on contents of Au Jus package. Place peperoncinis on top and around the sides of the meat. 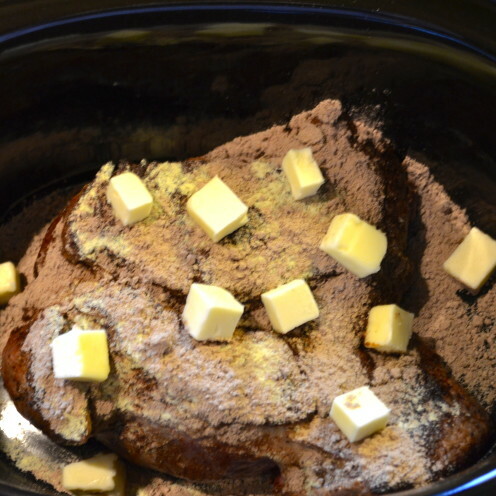 Dot the meat with the cubes of butter. DO NOT ADD WATER OR OTHER LIQUIDS. 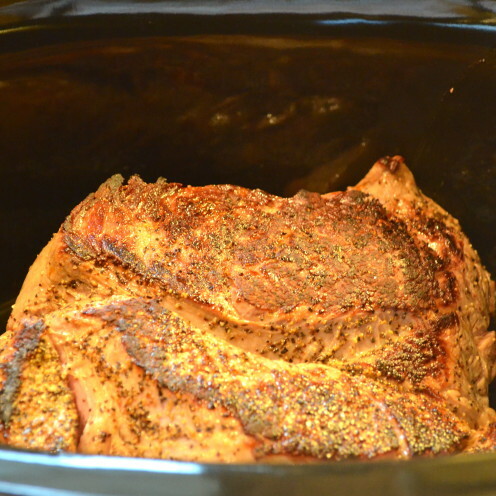 Set the crock pot to cook for 8 hours on low heat. 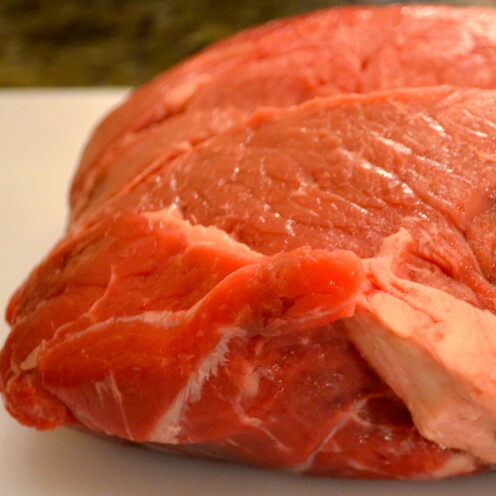 Meat is done when it falls apart with a fork. Serve over whipped potatoes with the resulting Au Jus. 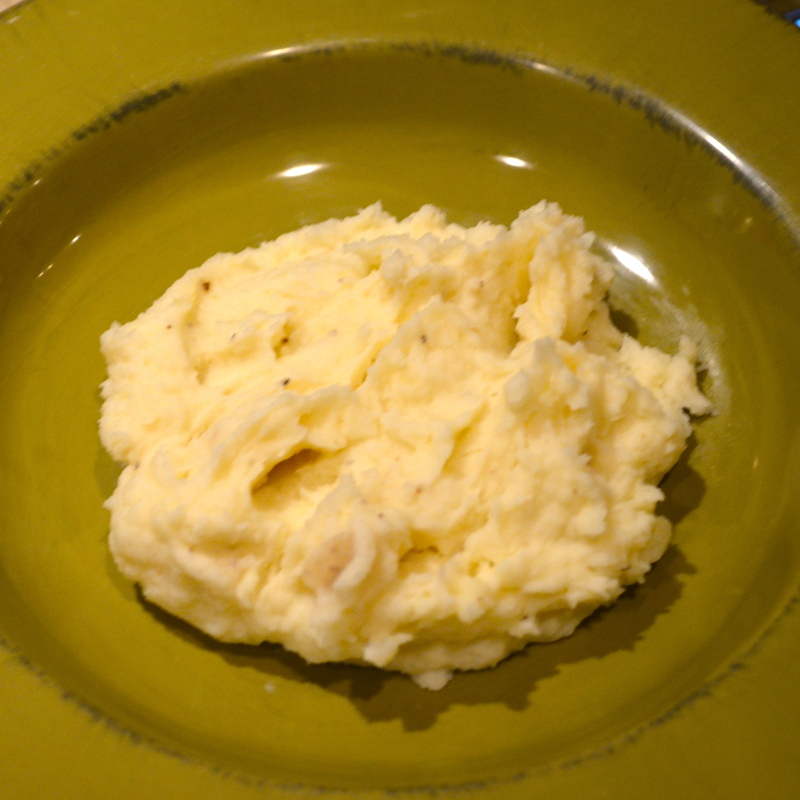 Celia's recipe for Whipped Potatoes can be found here.